The pay gap or pay parity is the narrowest it has ever been progress seems to be waning. KidView is a new series where kids share their views and/or book reports on books they read for school or fun. To start off this new series is Clayton. 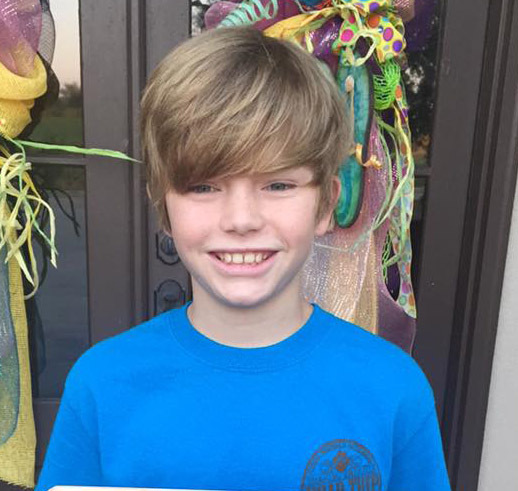 He just started middle school in the Shreveport/Bossier City area of Louisiana. He loves swimming, soccer, robotics, playing video games, and, of course, reading. And the best thing is today is his birthday! Happy Birthday, Clayton! Don’t even think of starting this book unless you’re sitting in a comfortable chair and have lots of time. 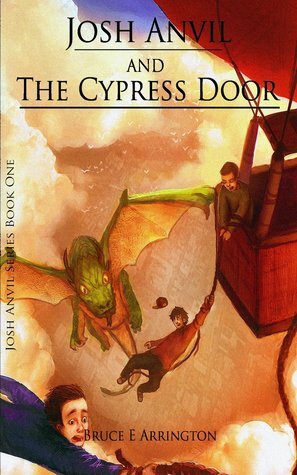 A fast-paced, impossible-to-put-down adventure awaits as the young orphan Peter and his mates are dispatched to an island ruled by the evil King Zarboff. They set sail aboard the Never Land, a ship carrying a precious and mysterious trunk in its cargo hold, and the journey quickly becomes fraught with excitement and danger. Discover richly developed characters in the sweet but sophisticated Molly, the scary but familiar Black Stache, and the fearless Peter. Treacherous battles with pirates, foreboding thunderstorms at sea, and evocative writing immerses the reader in a story that slowly and finally reveals the secrets and mysteries of the beloved Peter Pan. PETER AND THE STARCATCHERS is a great book. It has adventure, fighting, treasure hunting, pirates, savages, and an uncharted island. What more could you ask for? The author describes the uncharted island very well, using adjectives and allowing my mind to make me feel as if I am walking through the thick jungle. I felt as if I could relate to Peter, being a boy around his age and loving adventure. I love how the authors describe the Neverland. I could see myself walking on the deck and wondering where we were headed, just as Peter did himself. 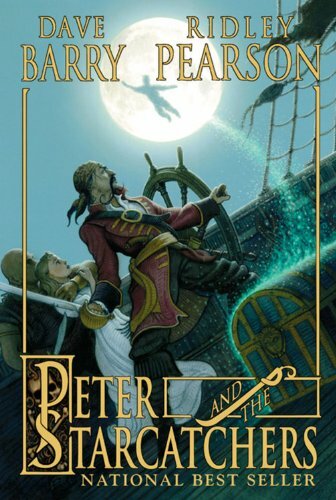 I would recommend PETER AND THE STARCATCHERS to anyone who likes adventure and fighting. This was a good read. PETER AND THE STARCATCHERS was written by Dave Barry and Ridley Pearson. It was the prequel to the Peter Pan book. The story is about Peter and four orphans, who are sent from England on an old ship called the Neverland to an island named Rundoon. The King of Rundoon, Zarboff the Third, tortures and abuses people. For example, his snake ate his father. As the boys traveled across the ocean they were served horrible food. So, they looked to Peter for help. Meanwhile, Black Stache hears of a great treasure on a ship called the Wasp. As he attacks the Wasp he realizes that he was tricked. He finds that the trunk he was searching for was on the Neverland the entire time. As Peter searches for better food, he finds a trunk with a rat literally flying. He was determined to find out about the trunk and the contents of the treasure. Then, he runs into Molly Aster who knows about the trunk and the treasure it holds. At first, she doesn’t want to tell, but later on she is forced to explain the contents due to Black Stache trying to get the treasure. Black Stache attacked the Neverland by tricking the crew members into thinking they were the British navy, (They wore the British uniforms). Stache and his crew searched the Neverland but could not find the treasure. Meanwhile, Peter and Molly dumped the trunk into the sea and during the attack Slank threw Peter overboard for biting his arm. Molly used the starstuff from her locket to save him and fly him to an island. In the meantime, Alf and the other orphans climbed into a dory and traveled to the same island Peter and Molly were on. The Neverland crew was captured by Black Stache. They saw a coral reef and they followed it to the same island the others were located on. Once on the island, Peter awoke and found himself on a beach. The first thing he needed to do was find water, so he searched for a water barrel. During his search he found Molly and the water barrel. They rolled the barrel to the jungle and hid it under a big batch of leaves. Searching for food, they came to a high, rocky pass. Looking down on the other side of the beach there stood Alf and the boys. Alf started looking for water and food on the beach. After a while, Alf didn’t find anything so they were forced to go into the jungle. Soon, they lost Alf, and after walking some more they lost Tubby Ted. James, Prentiss, and Thomas set up camp and James went to look for Ted and when he didn’t find him he went back to the camp. Prentiss and Thomas were gone. James then saw brown feet. It was the Mollusk people. They asked for James to come with them. Peter and Molly heard voices and snuck up to the top of the jungle. There, Alf and the boys were huddled up surrounded by Mollusks. Molly left to go find the trunk and Peter stepped out of hiding to help Alf and the boys. But, he got caught and the Mollusks were going to feed them to Mister Grin. The Mollusks brought them to Mister Grin’s cage and shoved them inside. Mr. Grin was a thirty foot crocodile. They believed they were going to die, but suddenly Molly flew in using the starstuff in her locket and gave some to the others. They flew out of the cage, but Mr. Grin did too. They landed on the beach and found Amm who showed them the way to the trunk. Peter went a different way than the others and he ended up in the back of the lagoon. He saw a hurt mermaid and used starstuff from Molly’s locket to heal her. That is when he saw the trunk. When Peter got to it, he took a golden box out of it, and hid it and was knocked out by Little Richard. Slank had the trunk and he lifted it and took it to Black Stache’s longboat. Molly, Alf, and the boys attacked Slank and Little Richard. Slank got badly injured, but he defeated them with the help of Little Richard. Slank captured Molly and made Peter give him the trunk or he threatened to kill Molly. He headed out on the longboat with Molly and the trunk. Peter flew over when Slank wasn’t looking and touched Molly’s hand with starstuff. Then, the Starcatchers appeared along with Molly’s father, Leonard Aster. Peter showed them where the box was and they retrieved it and put the box on their longboat. After that, the Mollusks appeared. They wanted the starstuff to protect the island so they captured everyone and started to take them to their camp. Meanwhile, Black Stache saw the whole thing. He attacked Peter, but Peter dodged the blow and he hit the Mollusk leader. No one would attack because Black Stache threatened to kill the Mollusk leader. They climbed into the longboat and sat sail for their ship. Peter attacked Black Stache and cut off his arm and then Mister Grin appeared and chased after Black Stache. Molly’s dad was taking everyone back to England, but Peter wouldn’t leave. So, the orphan boys stayed too. After Molly and the Starcatchers left, Peter saw a sign that said, “Neverland”. So, he decided to name the island Neverland. PETER AND THE STARCATCHERS has many main characters. The first character mentioned in the story is a boy named Peter. He is an orphan at St. Norbert’s Lost Home for Boys. He doesn’t know is age. Peter is the leader of the lost boys because he can spit the farthest. James, Prentiss, Thomas, and Tubby Ted are also orphans from St. Norberts. Peter is the leader of these boys. Molly Aster is the rich daughter to the new ambassador to Rundoon. She is the most important person on the Neverland due to her money and her father. Black Stache is another character who is described as having a “footlong mustache”, and has a horrible reputation as being the meanest captain of the ship the Sea Devil. Slank, who does not like children, is the second in command of the Neverland. He is also the first officer and is described as being very mysterious. Amm is a good porpoise who talks with Molly Aster. Alf, who is a sailor on the Neverland, is the first character to experience the magic of the trunk. Then, there is Teacher. She is a beautiful mermaid with blonde hair. She is the leader of the other mermaids. Peter is a young boy who has strong leadership qualities. He is also very brave. His curiosity leads him on adventures. James takes charge when Peter is gone, he is the second oldest orphan in the group. Like Peter, he is very courageous. Prentiss is scared of anything and everything. He is the youngest of the five orphans on the Neverland. Thomas is scared of most things too and he is also one of the five orphans. Tubby Ted is one of the five orphans and he is very lazy and values food very much. Molly is a rich Starcatcher. She is a young girl who falls in love with Peter and she is also the daughter of Leonard Aster. Slank values the starstuff and he works for King Zarboff the third. Amm is a Starcatcher and he helps Molly and Peter get to the trunk. Alf is a sailor on the Neverland. He was the first person to feel the power of the trunk. He helps James, Prentiss, Thomas, and Tubby Ted get to an island after the Neverland crashes. Teacher is a mermaid that helps Peter get the starstuff from Slank and she can communicate with Peter through her mind. Black Stache is the captain of the feared Sea Devil. He is disgusting and mean and he tries to get the starstuff himself. The authors let us know how Molly feels when she is leaving Peter at the end of the story. “Molly buried her face in her hands, muffling a sob.” She was sad to leave Peter. This shows Molly’s personal thoughts. The story first takes place in a carriage where the boys were leaving the St. Norbert’s Orphanage in England. The orphans were then taken to a ship called the Neverland. After the children leave the orphanage, the three ships that evolved in the story are the Neverland, the Wasp, and the Sea Devil. The story goes back and forth on these ships until a storm came and the characters ended up on an uncharted island. The theme of the story is bravery and friendship. In the beginning of the story it describes Peter as feeling scared and unsure of his surroundings. Peter shows that he is brave by always looking out for the orphan boys. As a boy, he fought Black Stache, Slank, and Mr. Grin which took an extreme amount of courage. Peter proved himself to be a great friend. He helped the orphan boys find better food and helped them escape from Mr. Grin and Peter refused to leave his friends behind with the Mollusk savages when Molly wanted to go find the trunk. Peter showed great friendship and bravery throughout the story. 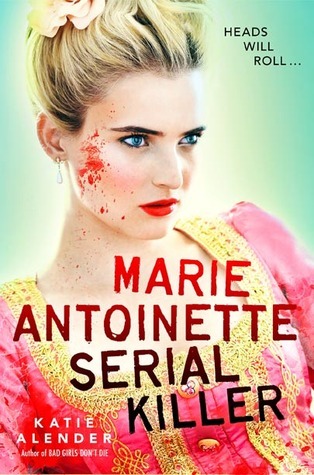 MARIE ANTOINETTE, SERIAL KILLER* was extremely disappointing. It had all this potential but fell flat very quickly. I figured out how the book would end by the second chapter. It had what could have been a great plot but was poorly executed (pun intended). The characters were one-sided, whiny, and clichéd. The author didn’t explain certain plot point very well; such as, when Colette would speak to Veronique she couldn’t understand any french but could speak it fluently and understand it when speaking with Marie Antoinette. I had a big question: Why did Marie Antoinette come back 200+ years after her death to get her vengeance? Why not right after her death? It didn’t seem to make sense. Also, I didn’t like the cover art. It was just lazy. A pouty blonde in period garb is the best they could do? The synopsis is a better read than the book. *I read an Advanced Readers Copy that I picked up at BookExpo America. 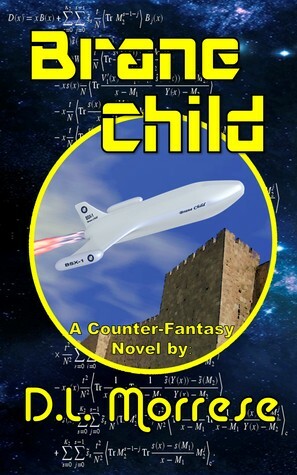 Fourteen year-old William Remington comes from a long line of time travelers…he just doesn’t know it yet. After finding an old tapestry that his father tried to burn, William is scared by what the tapestry reveals. It shows him a life he knows nothing about. His own life. When he’s sucked into Middle Ages England, he must learn to survive on his wits. There he meets Trea, a girl whose mother is captivated and held captive by a sorcerer and his book of spells. Trea has her own deadly secrets which might get both of them killed if they can’t find a way out of the maze of time they’re both stuck inside. 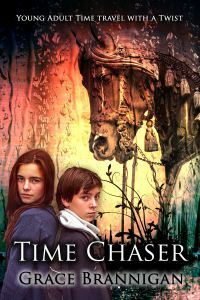 With dragons in the skies, magical horses and an alternate universe, “Time Chaser” is a Young Adult time travel fantasy with a twist. Dream cast for an all-female Avengers! Avengers: Age of Ultron is now in movie theatres across the U.S. According to Forbes and IGN.com it was “the second-biggest opening weekend of all time.” I have not seen the movie, yet. (I’ll probably see it in the next few weeks when the crowds die down.) I have seen the first two installments and really enjoyed them. But what I really want to see are more female superheroes. I’m not alone. More women are speaking out and Marvel Comics heard our pleas. Thor is now being portrayed as a woman in a new series of comics, which is outselling the male version by 30%! Then I started thinking ALL the Avengers could use a little more estrogen power and strength. Now who would play the live action all female Avengers? Below is a list of actors I think would be awesome as the Avengers based on prior shows, movies and popularity. I also tried to add a little more diversity to the cast and didn’t worry about age. Last, but certainly not least, I think Meryl Streep should play the HULK. Yep, I said it. I think she could bring multiple layers to the roll and it would be awesome to see Meryl Streep Hulk-out! Do you agree with my choices? Let me know in the comments. Melanie is a very special girl. Dr. Caldwell calls her “our little genius.” Every morning, Melanie waits in her cell to be collected for class. When they come for her, Sergeant keeps his gun pointing at her while two of his people strap her into the wheelchair. She thinks they don’t like her. She jokes that she won’t bite, but they don’t laugh. Melanie may not bite but M.R. Carey does! From the first sentence to the last I couldn’t stop reading; it bit me and held on. 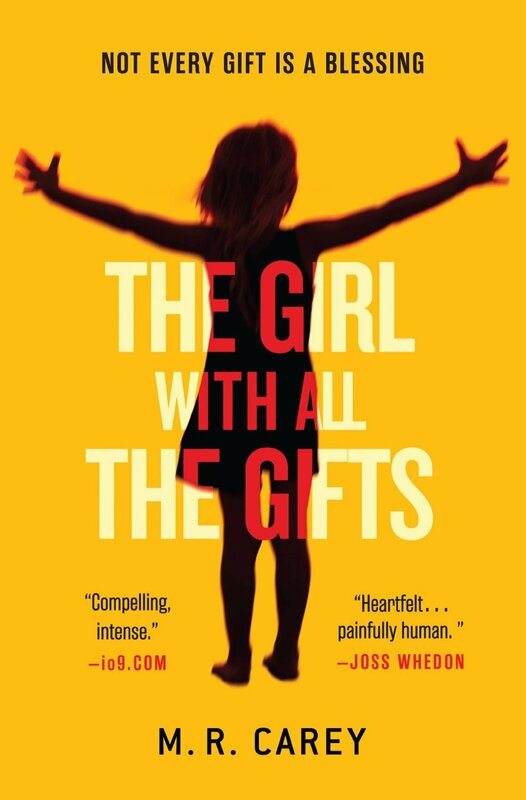 THE GIRL WITH ALL THE GIFTS is science fiction, dystopian, thriller, and mystery all rolled into one. The reader only gets little nibbles of answers to the mystery but I like it and hate it at the same time. It keeps the anticipation going so you will keep reading but at the same time you want to yell at the book, “Just tell me already!” It’s wonderfully delicious! I’m not going to give any of the plot away because I think not knowing anything gives the reader more of a thrill. I will say this, I did not see the very last part of the ending coming. There is one plot point of this book that is ripped right out of a scientific journal which is why the book scared the crap out of me. I keep thinking this COULD happen. Nature finds a way. I’ve also seen this same bit of science mention on other TV shows like The Flash on the CW. OK, that’s it! I’m not going to say anymore. The book is written in 3rd person but each chapter centers on one character’s thoughts and experiences. I really liked this because we could see into the minds of the characters as they fought their inner demons, between right and wrong and survival. This book as become one of my top favorites. Anytime someone asks me what’s my favorite book this instantly pops into my head. *THE GIRL WITH ALL THE GIFTS was sent to me by Orbit because I am a current member of Young to Publishing Group. 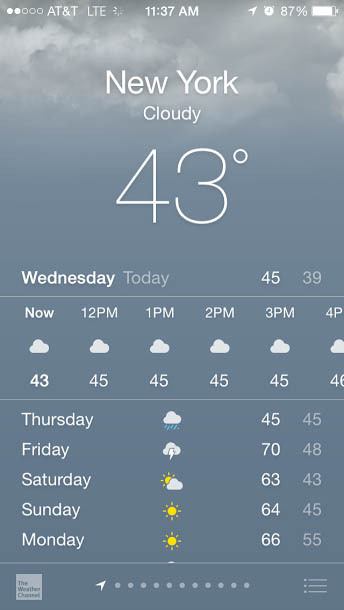 According to the weather app on my iPhone the high for Friday in NYC will be 70 degrees. It’s also suppose to rain. Does anyone else feel like this is a late April Fools joke from Mother Nature and instead of warm temperatures and rain we will wake up with freezing temps and snow on the ground? I’m sure if we listen closely we can hear Mother Nature giggling with delight.